Berlin: Over one lakh travellers are estimated to be affected as security workers staged an all-day strike at several German airports on Thursday over a pay dispute, aviation authorities said. “This will affect flight and handling operations here at Dusseldorf Airport. 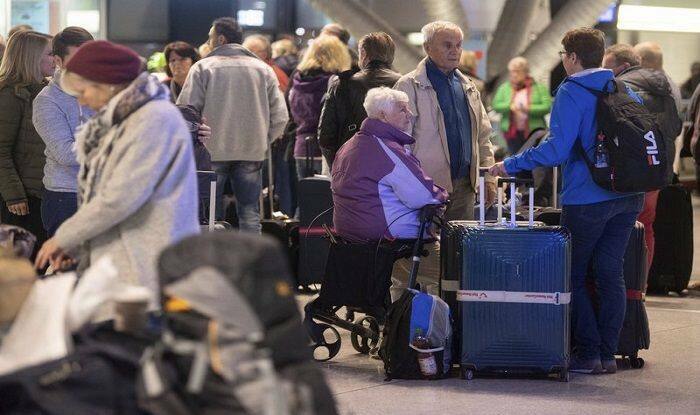 Severe delays at the security control are to be expected,” Dusseldorf airport informed passengers on its website. “Please check the flight status with your airline or travel operator before travelling to the airport,” it added. Verdi`s chief negotiator, Benjamin Roscher, warned that there would be further strike action if BDLS did not table a better offer for its roughly 23,000 employees working in the German aviation sector.